I believe this is not only my first entry to Mixology Monday, but it is also my first drink/cocktail on my blog. 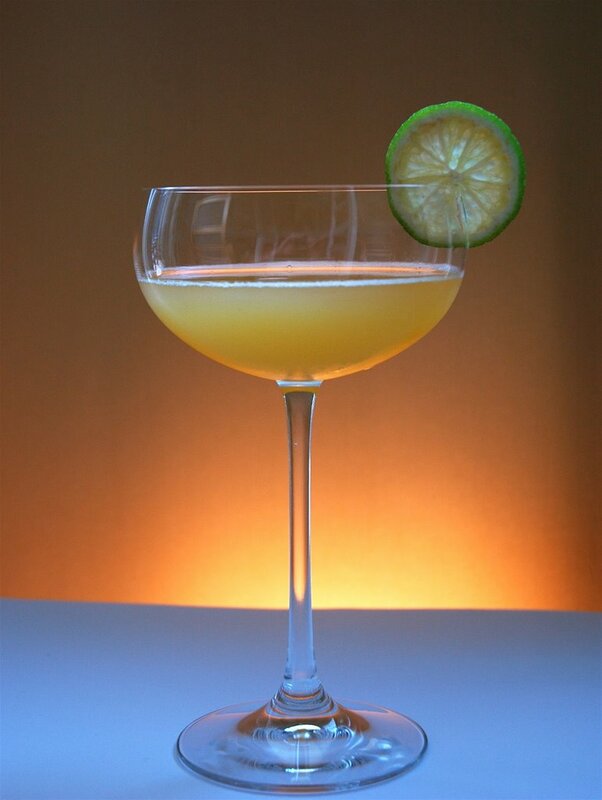 Mixology Monday is being hosted at Jimmy's Cocktail Hour and the theme is Aperitif. Actually I should be ashamed of myself! 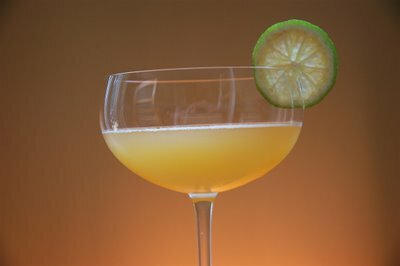 I mean what is a blog without some great tasting cocktail recipes, huh? Especially when the owner loves to nip on one or two in the evenings with neighbors and friends. 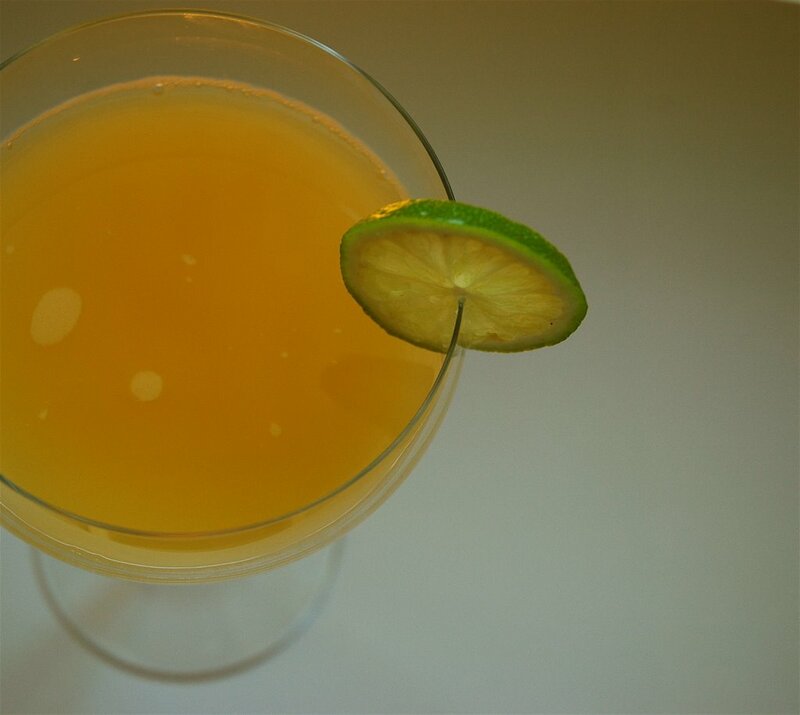 It's true I am a cocktail freak and love to have Margarita parties with my German girlfriends every now and then. This is something I instigated a while back and they have become a cult sort of evening. As the days are long and warm outside I thought a nice summery and fruity cocktail would be perfect. I quickly looked through my trustworthy, ever so loyal and a little sticky cocktail book (500 pages!!). The Upton was something I kept coming back to. The fruity mixture of the fruit juices seemed to appeal to me and with one slight moderation I decided it would be the Upton. I certainly was not going to make a cocktail and let it pass at that! I called up a few friends who were always interested to see me in action preparing for my blog and told them they were in for a treat. It was Uptons all around and a show that my buddies found extremely amusing .... I think they found the positions my body would convulse into while taking pictures extremely hilarious! To be quite honest after a few of these I think they would have found anything hilarious! Mix all the ingredients in the shaker throw in some ice cubes and shake well. Pour into glasses and decorate with a lime. Love the lighting in those photos Meeta. Sumi, Thank you! First time trying out pictures with actual lighting equipment! Pam, Thank you and by now you do not need an inviatation ... you are always welcome. Just make sure you bring one of your scrumptious dishes along! Interesting.. It's only 12pm and now, you've made me crave it. I think you'd like this with coconut rum. I stand by Malibu coconut rum. Cool pics. You mentioned once about your technique of usiang colored paper. Can ya elaborate on it a bit? What do you use as your light source? Hahahahaha...I am still laughing out loud at the verdict, Meeta. Meeta, btw, I am forwarding this post to my hubby. He is a hobby cocktail mixer. He's gonna be thrilled. Visit this link, if you want to solve it. Once again thaks for the positive feedback. Tamana, I started with using colored cardboard, but now am pretty much using anything with a nice background/texture. I even got the sister of a buddy (who is a photographer) to give me some of the stuff they use as backgrounds. Light source: Mosty naturall light. Either in front of a window or outside. It's important not to have direct sunlight on your motive as it gices harsh shadows. For this one in particular I just experimented with a few table lamps! I keep experimenting and learn by talking with other more advanced photographers/bloggers who are kind enough to pass on their experience to. I hope I was able to share a bit of what I learnt in the past few months with you too!